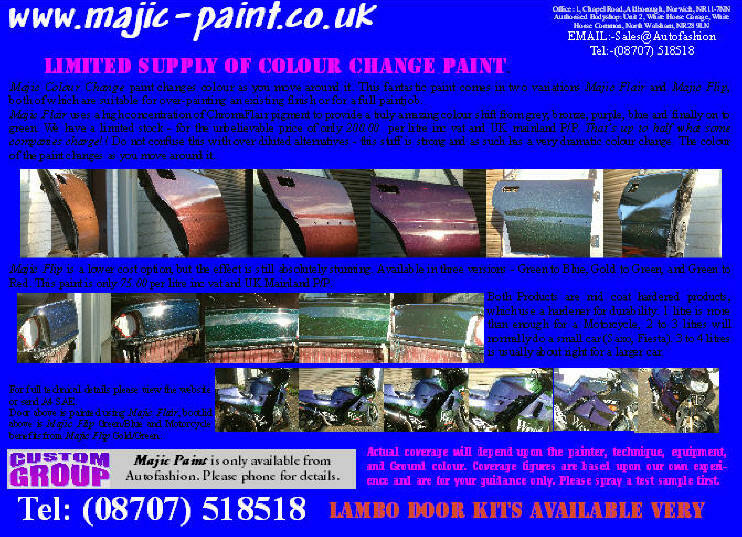 Majic Paint is our own brand of colour change paint. It comes in two versions - Full colour change Green to Purple at £200.00 per litre, and Flip front one colour to another paint at £75.00 per litre. Both are very dramatic in their colour change, and are superb value for money. With our unique formulation you need far less paint than with traditional basecoat type applications. Full details/instructions and photos soon.